Welcome to Toledo Wines and Vines. I hope you will return frequently. 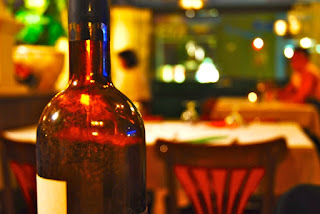 The vision for this blog is for it to be a "go-to" resource for wine lovers in the Toledo area who want to know about tastings, events, locally available wine and to share comments as well. We are fortunate to be able to live in a time where winemaking has advanced to the point where excellent, affordable wine from around the world is available in abundance at your local wine shop, grocery store or discount store. You can spend more than $100 on a bottle of quality wine -- quite easy to do at a nice restaurant -- but wonderful wine is available for under $20 and perfectly respectable every day wine can be had for $10 or less. We aim to provide suggestions to help. Our focus at TWAV is the Toledo area. We'll share thoughts and insights on local wine shops, tastings and winery visits. We are in a great region for wine travel, just a short distance from Michigan (Traverse City area), Ontario, Ohio wineries and one of the truly great (but unheralded) wine regions in the country: the Finger Lakes. So how about you? What is your favorite place for wine tastings in the Toledo area? Where do you purchase your wine?